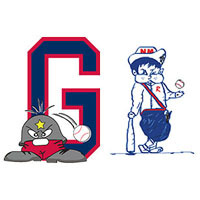 Julian Ridings drove in three runs, Brandon Murray had four hits and two RBI, and the Waynesboro Generals gritted out a tough 6-2 win over New Market Friday night in game one of a first-round best-of-three playoff series. Seth Lucio picked up the win. The Tennessee Tech freshman gave up two runs, both unearned, on six hits in five and two-thirds innings. The righthander struck out five and walked four and had to pitch in and out of trouble all night long. The Generals bullpen put up three and a third innings of shutout baseball in what was a tight ballgame throughout. The Rebels got on the board first in the first on a Justin Lacy RBI single that scored Matt Ford from third. Waynesboro answered in the bottom of the first on an RBI single by Brandon Murray that plated Bradley Noland. A two-out, two-run single by Ridings in the bottom of the second that came after New Market starter Josh Cesario had walked the bases loaded gave Waynesboro a 3-1 lead. New Market got a run back in the third on an RBI single by Lacy that scored Mac Hudgins. Ridings came through again in the fourth, again with two outs, taking a first-pitch fastball from Cesario to center field for a single that drove in Anthony Iacomini from second and gave Waynesboro a 4-2 lead. It would remain that way into the eighth, which Iacomini led off with a standup triple and scored when JoJo Woods singled to right throught the drawn-in infield to make it 5-2 Waynesboro. Murray came through later in the inning with an RBI single that scored Woods with an insurance run that made it 6-2. Josh Bullock pitched a perfect ninth to close out the ballgame. Game two is at New Market Saturday night with a 7:30 p.m. first pitch. Game three, if necessary, would be Sunday night in Waynesboro.